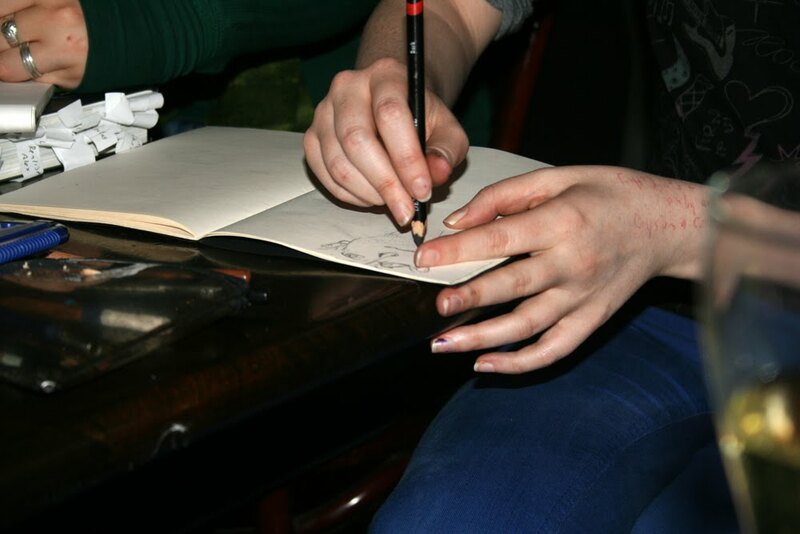 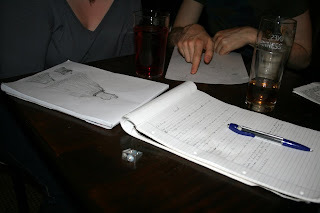 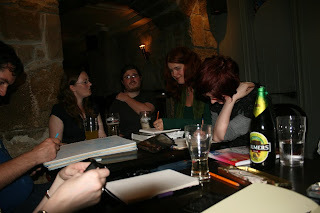 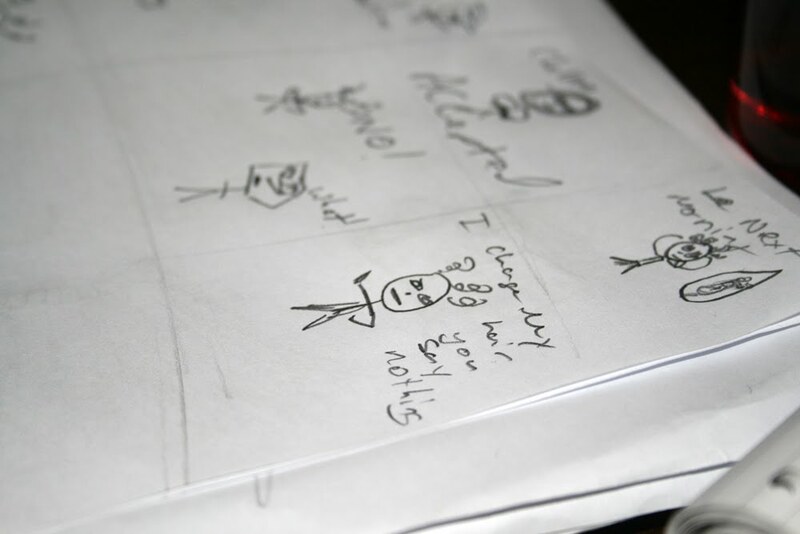 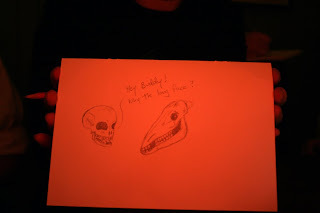 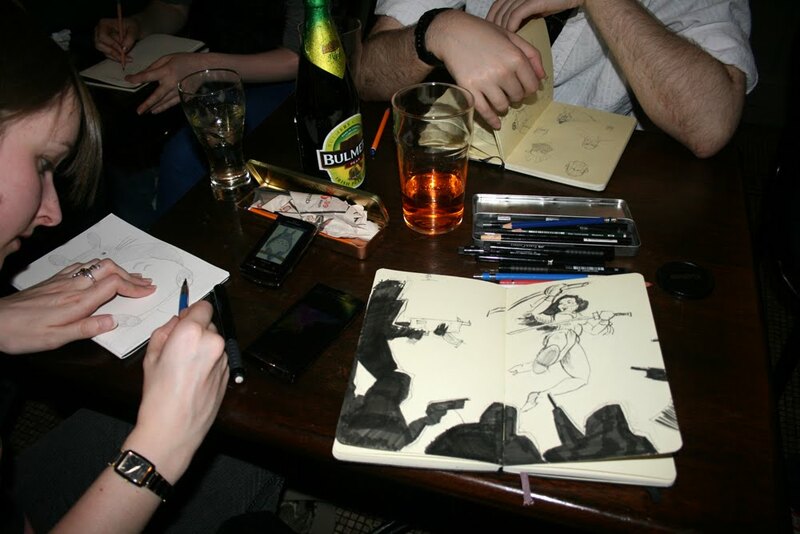 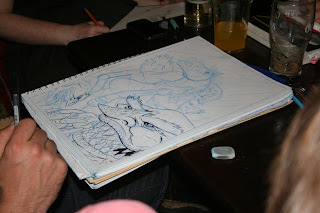 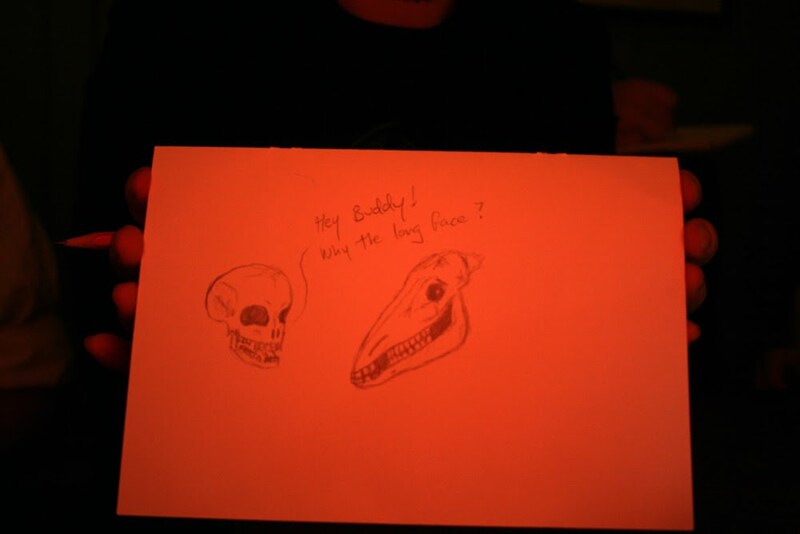 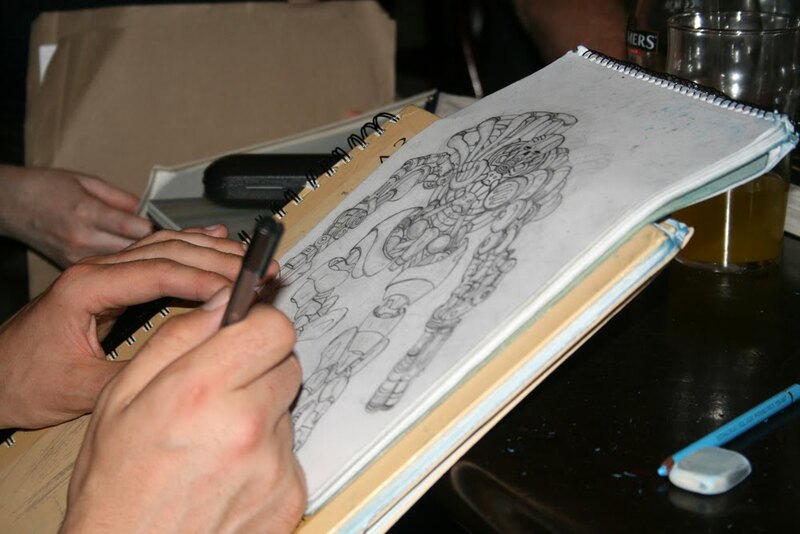 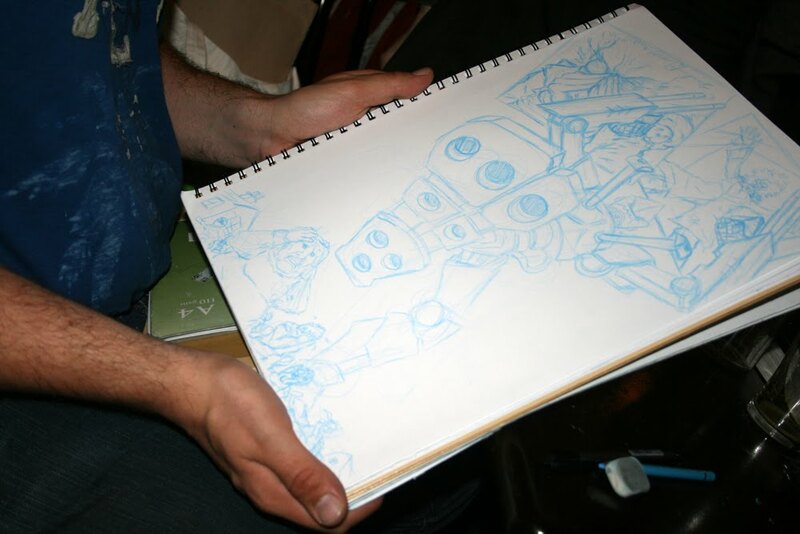 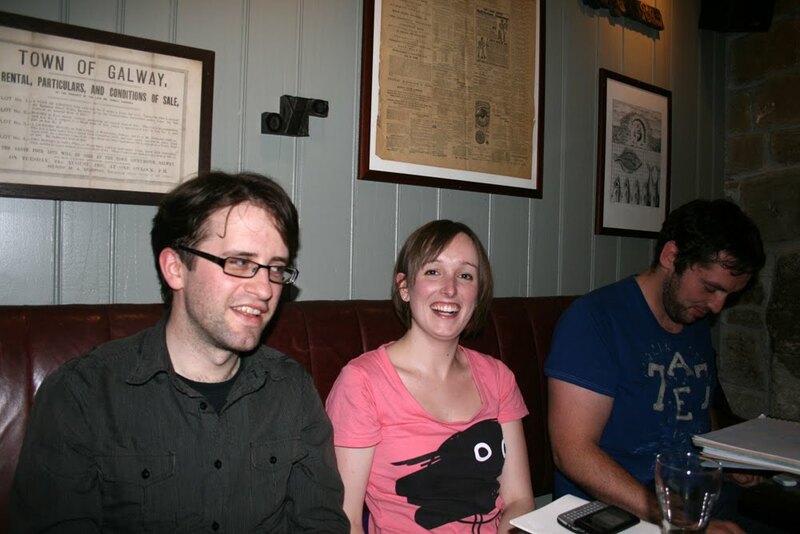 Another night out for the Galway Pub Scrawl! We had to move around the pub a few times cos the place was kind of full, but we eventually got settled and got down to business! 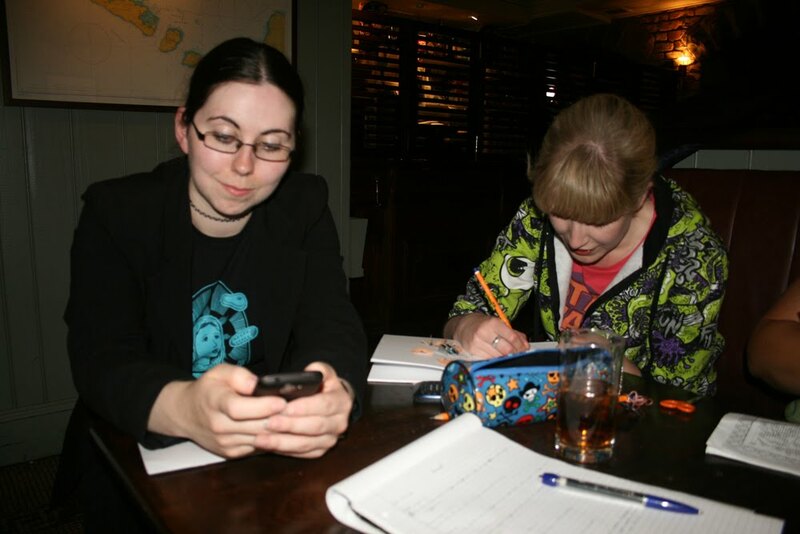 Mo and Ashy get drawing! 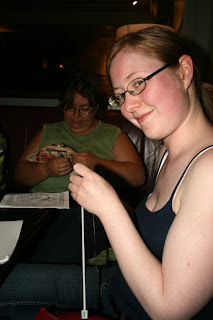 Yolande & Jodi make our craft corner! 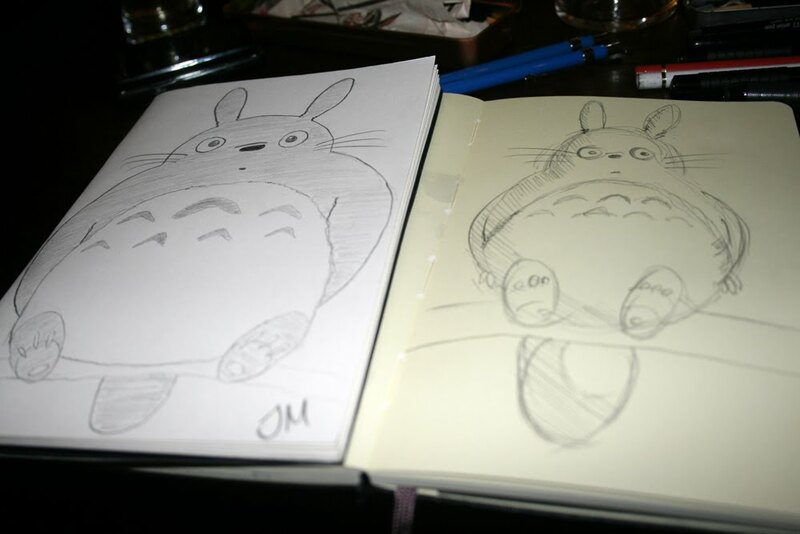 Myself and Jenny have a Totoro-off! 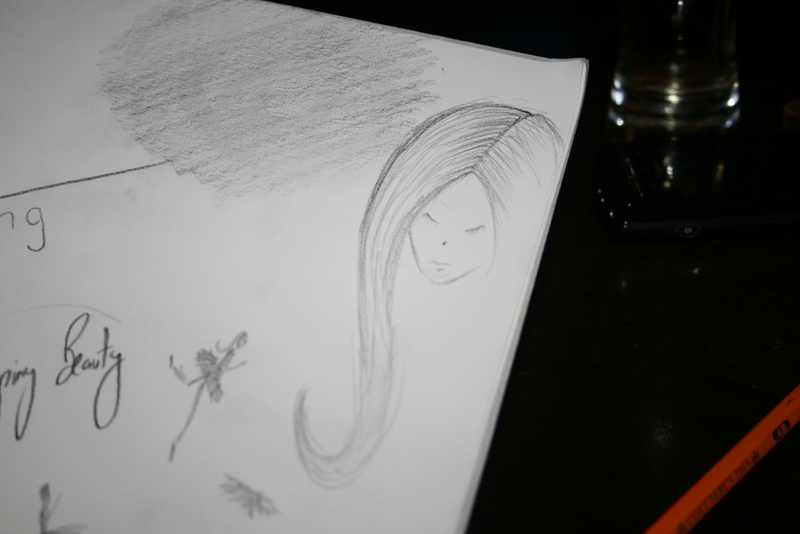 Somehow hers is cute and mine looks hungover. Jenny was on a Miyazaki kick - No-Face and some of those rattle head guys! Myself, Jenny, Patrick and Helen at work. 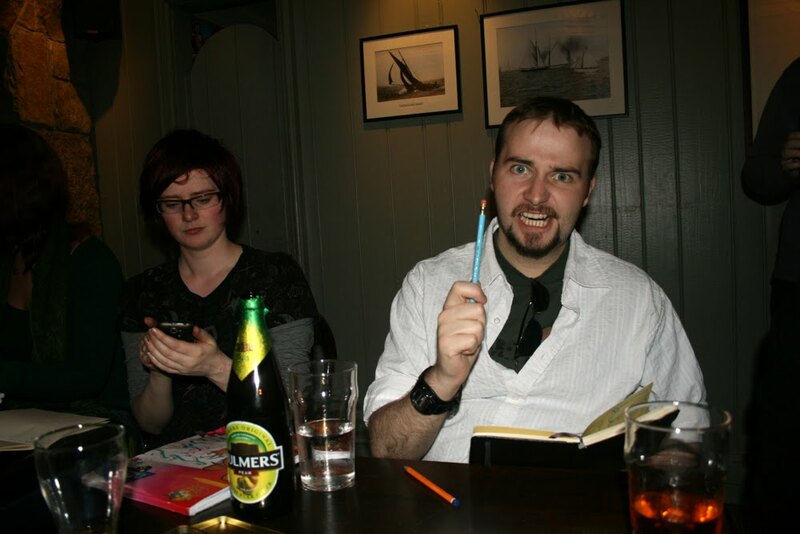 Eoghan and Cathy almost seem to be studying..
At least until Cathy starts making comics! 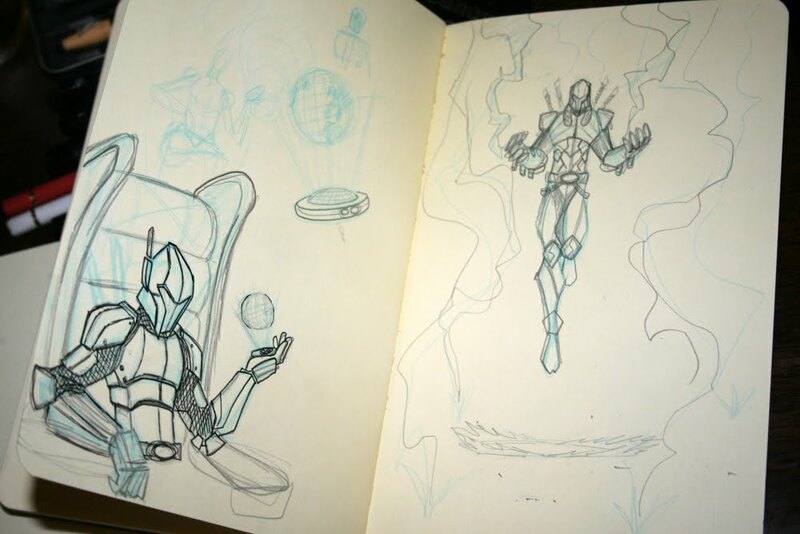 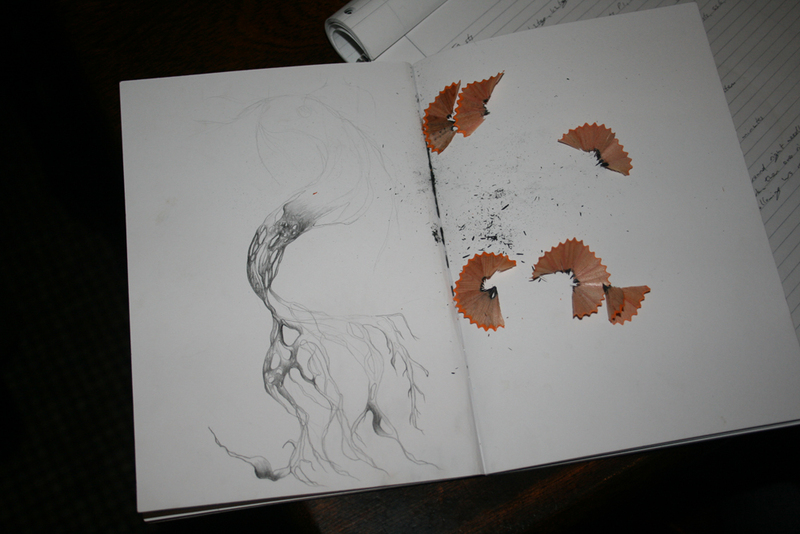 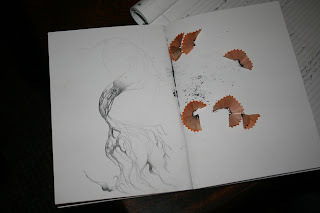 ... to make cool sketches! The end of the table at work. 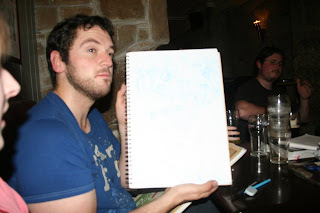 Ger with his work - a blank page!!!! 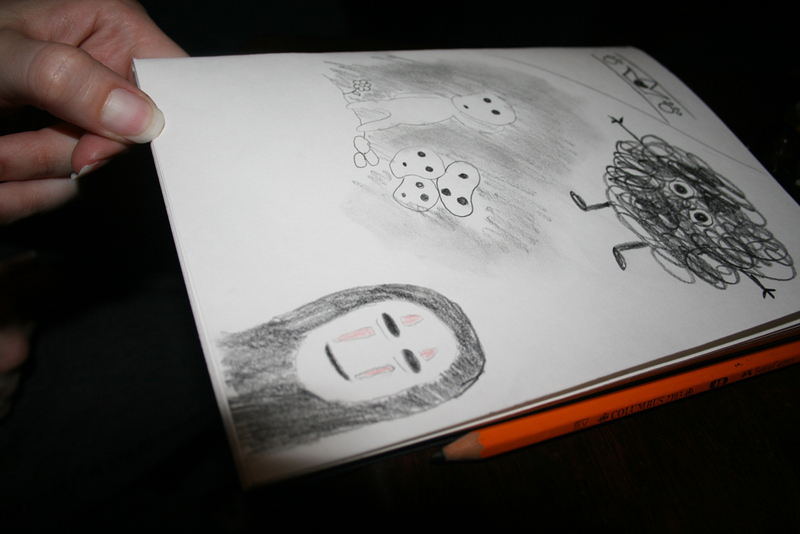 Only kidding. Ger was really busy this evening, I screwed the picture with the flash again. 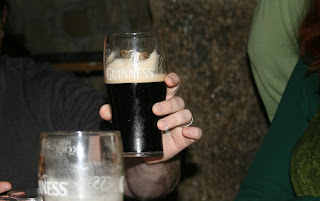 And Keith felt that our bartender should be honoured on the blog because of this finely drawn pint. Back in two weeks with another Galway Pub Scrawl!